As part of its clean energy, or "green power," portfolio, Xcel Energy (XEL) offers its customers in Minnesota, New Mexico and Colorado the option to buy wind power at a premium price. 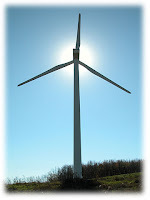 This investment assists with the development of new wind power projects. But some are questioning why utilities even need to charge more for wind. Xcel wanted to offer its 85,000 North Dakota customers the option to buy wind power and charge $2.50 per 100 kWh block of electricity (the average home uses 750 kWh per month). The North Dakota Public Service Commission rejected Xcel's request, arguing that it misled customers about the cost of wind power. In fact, other North Dakota electric cooperatives charge much less or even nothing more for wind power. "[The Commission] unanimously voted to reject Xcel Energy's proposed wind-power price on Wednesday, saying it was too expensive. The proposed North Dakota price was more than double what Xcel charges Colorado customers for the same program, [Commissioner] Cramer said. [Commissioner] Clark said special rates for wind power, which may have been justified a decade ago, look dated in an era that now considers wind energy a mainstream source of electric supply. 'The problem with this tariff is, it treats wind as if it's some sort of boutique fuel that's set aside from the rest of the generation grid,' Clark said. 'It sends the message that (wind energy) is more expensive to bring online than any other form of power.'" A spokesman for Xcel said this green option would drive more wind power development in North Dakota (which is lagging behind most other states in the Upper Midwest). The proposed rate reflects the current costs to supply wind, and the proposal included the possibility that the rate could decrease along with wind's cost. Commissioners argued that it doesn't make sense for Xcel Energy to charge more for wind; it should automatically be included in a utility's diverse energy portfolio.